The succinctly cylinder Levoit LV-H133 is now just the company’s middle air purifier, behind the 2019’s flagship Levoit LV-H134. However, the Levoit LV-H133 is still packing serious power and filters aplenty. Today, let’s read our Levoit LV-H133 Review to know if we could one more time buying the best bang for our bucks with this Levoit’s air purifier. As a trusted brand with the excellent Levoit LV-H132, the users will put more belief in any air purifier products from Levoit brand. That being said, the Levoit LV-H133 offers fantastic performance, with highlights including a large room coverage, more beautiful design than you can shake a stick at, and excellent CADR rating. Read more in our Levoit LV-H133 Review. Not only is the Levoit LV-H133 the most impressive device we’ve seen from Levoit to date, it’s also one of the most impressive air purifiers currently on the mid-range market, undercutting the competition with a fantastic design. The Levoit LV-H133 launch price was $319, which saw it slide it below some of its key competitors, but that price has dropped and the Levoit LV-H133 can now picked up for less. In fact, a bump of cost from the $109 LV-H132 is predictable. Levoit needs a mid-range air purifier to close the experience gap with high-end air purifier brands, like Rabbit Air, Coway or Blueair. The tactical Levoit LV-H133 is the 2018’s result to enhance this company’s brand awareness. Since the LV-H132, Levoit has been synonymous with the cylinder-shaped air purifiers. Both the price and the design language imply that Levoit LV-H133 is a clear opponent to the Blue Pure 121, though it has the more similar shape with the previous Blue Pure 411. 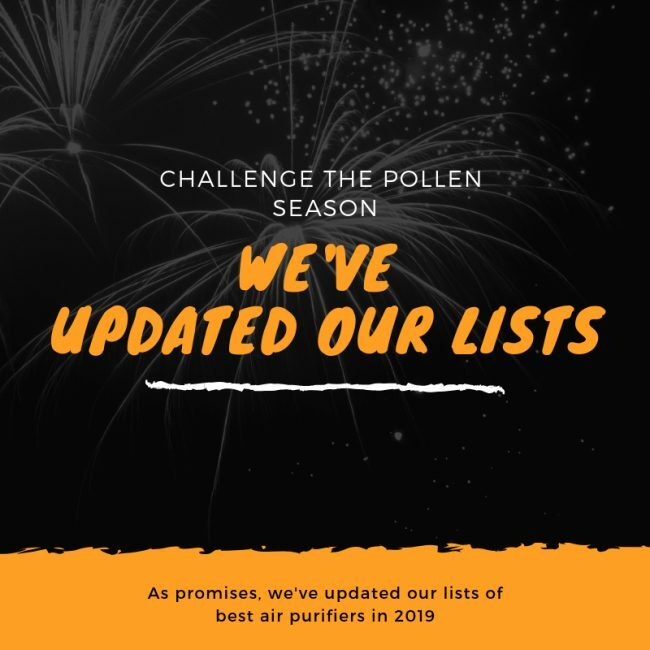 Another great name within the price range is the Winix WAC9500 in the list of best air purifier in 2019 (updated Jan 26), being powered with an exclusive PlasmaWave technology from Winix brand. The Levoit LV-H133 is still the great deal at the moment, considering there is a new drop in the price. You can easily grab a $40 OFF discount right as below. Levoit LV-H133 White Edition Large Room Air Purifier with True Hepa Filter, Home Air Cleaner for 538 sq ft.
Large Room Air Purifier for Home with True HEPA Filter. Comes with a reasonable discount. Sitting alongside the best seller LV-H132 as the most wanted air purifier from Levoit, the Levoit LV-H133 retains most of the familiar look, which is hardly something to complain about when you consider that, a year on, the LV-H132 is still one of best looking air purifiers around. The Levoit LV-H133 sees the output grill still at top and remove the unhelpful input grill at the bottom. Instead, Levoit LV-H133 brings in a new cylinder filtration layer to fit the shape of this device, and maximize the 360 Degree air intake efficiency. However, compared with any 360 Degree input air purifiers like Honeywell HPA300, or in the higher-range like AIRMEGA 400S, I still notice a slight decrease of air intake in this Levoit LV-H133. It’s not difficult to point the culprit, Levoit LV-H133 has only one intake air grill from the front. Therefore, this air purifier is unable to maximize the performance of its 360 Degree air filter. The plastic body is still cylinder-shaped design, but has also been strengthened and more well-built. At the top, you will have a brand new LED Display with modern Touch screen. It makes Levoit LV-H133 feels more modern and deluxe than the old devices. Having used both the LV-H132 and Levoit LV-H133, there is a big difference from the size of these brothers. Clearly, Levoit LV-H133 is bigger with 26 inches in height, but living among a world of huge air purifier machines, the size of this device is still normal and neat. But with a weight of 21 lbs, this air purifier is much heavier than lots of air purifiers at the moment. Pre-filter – Using the fine preliminary filter, Levoit LV-H133 is able to capture most of large objects right at the first stage of its air filtration process. In addition, the pre-filter is vacuumable and can be reused for a long time. True HEPA filter – Levoit LV-H133 uses a True HEPA Filter to reduce 99.97% of as small as 0.3 microns allergens, virus particles, pollen, and bacteria particles. 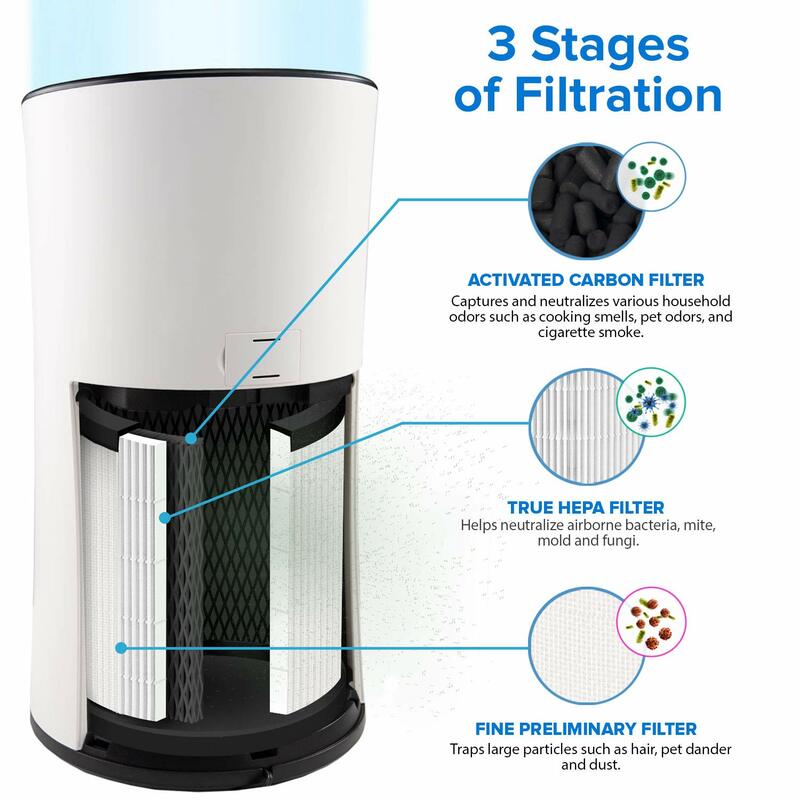 Activated Carbon Filter – This Activated Carbon filter is great at eliminating odors and smokes. With a very good True HEPA filter inherited from the already good previous models and a good set up of air filtration process, it should make sure not leaving any allergens in your room. The Levoit LV-H133 separates the 3-stage air cleaning process into 3 separate physical air filters. While of course it will increase the air filter cost, a poweruser of air purifier might be happy with Levoit LV-H133. 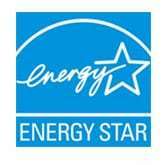 The pre-filter stands as a independent HEPA filter, which can be vacuumable. It effectively prolongs this filter’s life time. You don’t need to worry about the small size True HEPA filter anymore, as the Levoit LV-H133 comes with a triple the size of LV-H132’s air filter. Moreover, the new filter design increase the efficiency of Levoit LV-H133’s True HEPA filter, and therefore, better the air purification. A good design is really important when Levoit’s air purifiers don’t hold much fan power. However, the performance is still behind the Blue Pure 121, but a performance comparison with this Blueair’s beast is unfair with any others in the same price range. To test the actual performance rating of this Levoit LV-H133, I used a $329 Winix WAC9500. For the 1-hour efficiency at highest setting, in a room of 200 sq ft, the Winix WAC9500 has a greater efficiency of 99.95%, while the Levoit LV-H133 is only 99.93% for 0.3 microns particles. However, the efficiency of Levoit LV-H133 remains the same for a larger room of 300 sq ft, while the Winix WAC9500 drops significantly to only 97%. If you are familiar with the Levoit brand, you will know that the Levoit LV-H133’s air filter cost is triple from the predecessor, with $84. The filter cost is not a surprise in the mid-range level, though, for example Winix will charge you $119 for their Winix WAC9500‘s air filter. With triple the size, this air filter cost is acceptable, and I am looking forward to see the upgrade in the next LV-H134. This air filter, named LV-H133-RF, will last for at least 6 months, based on a 24/7 use at the highest setting. Also, I suggest that you should regularly clean your air filter for better efficiency. As the large room air purifier from Levoit, clearly Levoit LV-H133 can cover a much bigger space. And for a room coverage of 538 sq ft, any households from the US could use this air purifier without any worry. If you still don’t satisfy with this room coverage, you should check the Blue Pure 121 (with a better fan and 620 sq ft room coverage). Also, the ACH of Levoit LV-H133 is improved to 4X. With a much larger room coverage, Levoit LV-H133 needs to exchange the air more frequently. The CADR of Levoit LV-H133 is 235 cfm in general. It tells exactly how fast your air purifier can clean your room, and with that number, Levoit LV-H133 will deal with a large room of 538 sq ft much slower. With that decent fan power, Levoit LV-H133 can’t compare with the high CADR of Blue Pure 121 or Honeywell HPA300. While the Levoit LV-H133 can’t handle a better fan power, the bright side of this fan is the absolute quiet operation. Levoit keeps the same 3 fan speeds as used in the previous models, and carve the fan to maintain at 25 db noise level at the lowest setting. This noise level is actually better than the previous Levoit LV-H132. The Quiet Operation continues to be the key advantage of this Levoit LV-H133, even at highest setting. This air purifier’s noise level doesn’t exceed 54 db. This is just the level of normal conversation at home, or many large electrical transformers from at least 100 ft. Well, that’s an impressive noise level, and I’m pretty sure that you can run the Levoit LV-H133 for your whole day without interrupting your silence. A good air purifier must be used for a long time to be efficient, that’s why there are a lot of readers asking us: “Do air purifiers use a lot of energy?”. We can all agree that power consumption is one important criteria to review if this air purifier is worth your money or not. 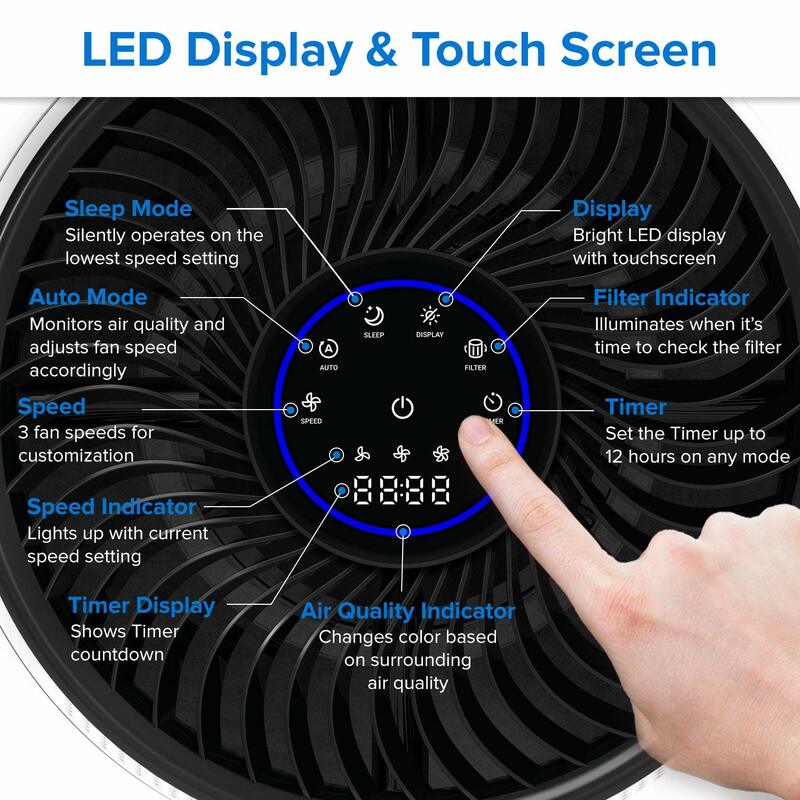 There is one proportionality for a fan power and the power consumption, the higher fan power the higher power consumption. Levoit exploits this as another key advantage of their air purifiers, and they don’t want to miss this strength in Levoit LV-H133. With the maximum power consumption of 33W, this air purifier only consumes half of the maximum energy of Blue Pure 121 (61W). Of course, we can’t deny the fact that low power consumption also proves the terrible fan power of Levoit LV-H133, and for that, you need to run this air purifier for a much longer time. If you root for a Levoit LV-H133, you only need to pay for about $12 annually for this air purifier, with about 8 hours of use per day. 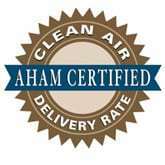 I bet that you will turn this air purifier on 24/7 after reading this review. Once was the flagship of Levoit, Levoit LV-H133 shows exactly what the $199 LV-PUR131 could give. This company improves their Smart Sensor to help detect the real-time air quality in only 30 seconds. Moreover, this Smart Sensor will automatically adjust the fan power to fit the surrounded environment. This high-end feature is must have for any air purifiers in this mid-range level, to help both reserve the energy and prolong the air filter’s life. For paying triple the price of Levoit LV-H132, you will also have an Advanced Timer to let it operate for just a precise amount of time. This Advanced Timer can show you exactly the count down of this Levoit LV-H133. Personally, I don’t use the Timer feature much for the test, but it works accurately if you are wondering. On the other hand, the Sleep Mode is my most used function. With a single mode, this Levoit LV-H133 will automatically switch to the lowest fan speed, which is perfect for my night time. The final basic feature you can get from this Levoit LV-H133 is an electrical LED indicator for filter replacement. After each time you change your filter, don’t forget to reset the indicator. Levoit is once again likely to have another popular air purifier for 2019. But with a triple price from both the original price tag and filter replacement, I don’t think it’s the clear winner as the LV-H132 was. But with a smart design, better fan power and lots of handy additional features, Levoit LV-H133 still holds a certain slot in the Best Air Purifiers List in 2019. Should I buy Levoit LV-H133? Yes, and this Levoit LV-H133 deserves all the compliments from the Levoit fans. It is a huge leap from the previous Levoit LV-PUR131. If you have serious allergies or asthma to airborne pollutants: the Levoit LV-H133 is great with the combination of both True HEPA filter and Activated Carbon filter. If you want a better performance, or better fan power to clean your room faster: you can look for the Blue Pure 211, Honeywell HPA300 or Blue Pure 121. If you need an air purifier with a better room coverage: you can choose the Alen BreatheSmart FLEX or Levoit LV-H134, as they can deal with 700 sq ft. The Oransi Max is suggested for the room size of 1100 sq ft, and should be considered, too. If you need a budget version of this air purifier: you can look for the Levoit LV-PUR131. If you need a more silent air purifier: the Levoit LV-H133 is really silent and you don’t need to look for others. If you care about the annual filter cost and energy cost: the Levoit LV-H133 is one of the most saving air purifiers you can get. If you love the additional features: you had better pick one in these Winix NK105, Winix QS, Blueair Classic 205, Blueair Sense+ and Honeywell HPA250B for the Wifi connectivity function. The hardware design is impressive, but in a few areas Levoit LV-H133 has a few too many patchy elements to flatten the competition.